The clock has just passed the 10am mark here on Monday, the 28th of September in the Land of the Morning Calm and I find myself sitting at the computer sipping some wonderful green tea, reflecting on the past few days. The end result… the weekend has been fantastic. I largely just lounged around the apartment, reading a book Jo sent me and caught up on a few films. I also went running several times and have decided to resume running at 11.3kph (7mph) at the gym. The reason is that running at 10kph is too easy. I can manage a good 8+km run each day before I get tired. While that is great for overall fitness, it takes roughly an hour to get the full 10km in and I want to spend my time doing other things. This is especially important, as I have a few projects that I have in the hopper. The first of which is a short little video I want to do this week, since its Chuseok (주석) this weekend. This has great significance here, since it is often billed as the Korean Thanksgiving. It’s a great holiday, that will also allow me to have four days off. The other project is far more vast: It’s a feature-length documentary. Earlier this year, I met a professor at one of the Universities in Korea. He had an idea and a vision to tell a story. Two weeks ago, we set out and filmed some bits and sat down yesterday to cut the initial pieces together. It will be a long project, with the actual principle filming beginning in 2010. 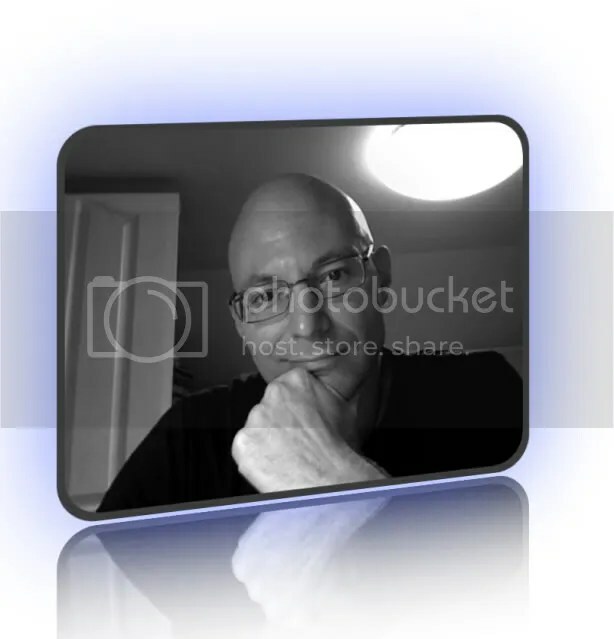 The nice thing about the project, is that I serve as an editor and videographer, rather than director. The working relationship we have is fantastic – a great melding of skills. I can’t wait to share with you what we have come up with thus far. It should be up and ready for viewing in a few weeks. 1) Did MBC contact me? No they didn’t. I was informed by a student about the piece a few days after it aired. 2) Did MBC get permission to use the video or cite credit? Not that I’m aware of; however, last year I did license the video to Jinro for marketing use. 3) Have you contacted MBC about the video? No I haven’t and don’t intend to do so. 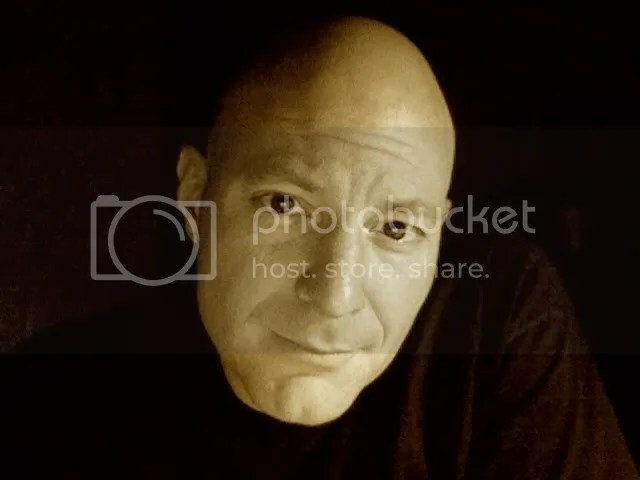 Some other media stations have contacted me over the past year regarding the video, and it continues to get a lot of hits, but at this juncture, I’m focused on getting my other projects off the ground. Probably the thing I’m most looking forward to this week is the Ken Burns’ National Parks series debueting on PBS this evening. I’ll have to wait a while before I can actually see it, but since I have a great love of the Parks, the Grand Canyon, Tonto, and Mesa Verde, I can’t wait to see this series has in store. Over the past weekend, all of the parks had free entry. In this day and age of computers, I find is sad that so few young people take the time to explore the National Parks. This kind of caught me by surprise, since I hand filmed any bits for television this year and I thought that they had possibly seen some of my newer YouTube Videos. After some questioning, I found out the MBC Morning News ran a story a few days earlier and I was part of it. It of course had to do with soju. It took a little digging, but on of my friends was finally able to find the video on the MBC website and show me the story. 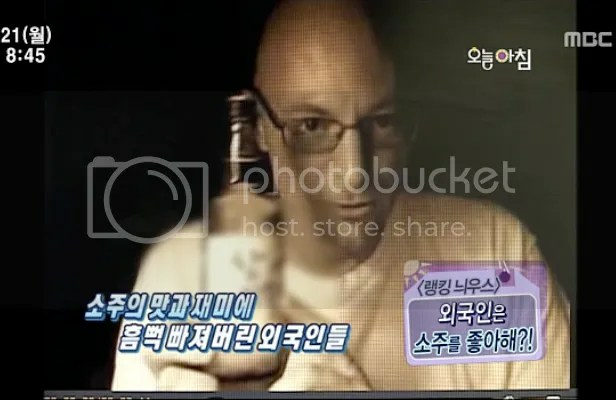 Essentially, they were showing foreigners enjoying soju. This apparently is a big topic these days (I’m not sure why). 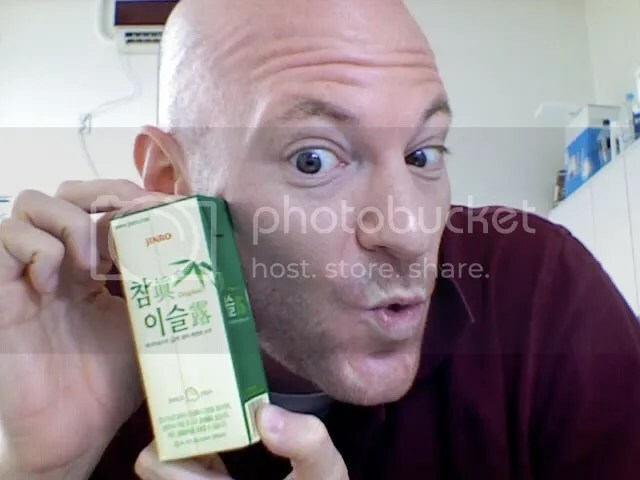 My Soju video from 2008 was in the video for about 2 or 3 seconds, but showed me explaining a little bit about the drink. I had been wondering why I was getting more hits and subscriptions… now I know why. It’s no secret that I love Mexican food or that my favorite chain in the US is On The Border. The fact that the franchise has two locations here in the Seoul area makes living here even better. On Saturday, September 19th, I’ll be doing some filming in Gangnam and then heading over to the COEX for a little OTB treat. If anyone is in the area and would like to join me for dinner and drinks at 6pm, let me know. I’d love to meet you. Also, on another front… our school is expanding and looking to hire another Native English Teacher for the December 1st term. If you’d like to teach in Korea, have a Bachelor’s Degree, and n commit to a one year contract… let me know. Our school is awesome! Finally, I found something interesting while visiting my local GS25 today. I’ve commented on the drinking culture in Korea in the past (and I will admit that I like it). What I sometimes forget to mention is that since open containers and public drinking is a way of life here, most convenient stores have tables out in front so that you may buy your booze and snacks and drink the night away in front for a relatively low cost. But I got a kick out of this… Jinro sells a 200ml version of it’s soju (시주) in a box. It’s about the size of a juice box and is easily transported. The thing that I don’t get, is that per milliliter, it’s more expensive than buying a full bottle. When I get home tonight from school, I’m going to pop the lid and give it a taste… I wonder how good it really is? It may seem strange, but beer and whiskey may not be for everyone. In fact, there are several people I know that prefer a glass of wine as their favorite adult beverage. Like many countries around the world, Korea has a distinct local variety, that I think is quite special. It’s called Bok Bun Ja Joo (복분자주) and due to the way that Hangul is translated into English, you may find several other spellings in Korea and the Internet. 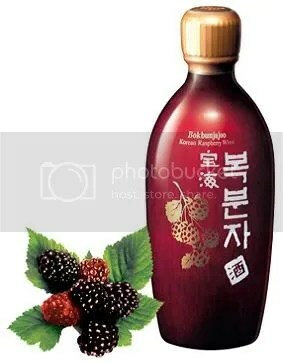 There are several manufacturers here in Korea that make the black raspberry wine, with Jinro leading the way. There are also a few other types of related wine that are made from plums as well. It is produced in several areas and made by fermenting the berries with water. It is a very deep red, and in my opinion, best served cold. I find it pretty sweet, but most will tell you that it is a moderately sweet wine. Normal, off-the-shelf varieties will run you about W4,000 at a market, while at a restaurant you can see the price inflated to something closer to W12,000. The alcohol content varies as well, but the mass produced versions usually hover around 15% ABV. It is often drunk on special occasions and is rumored to promote male sexual stamina. 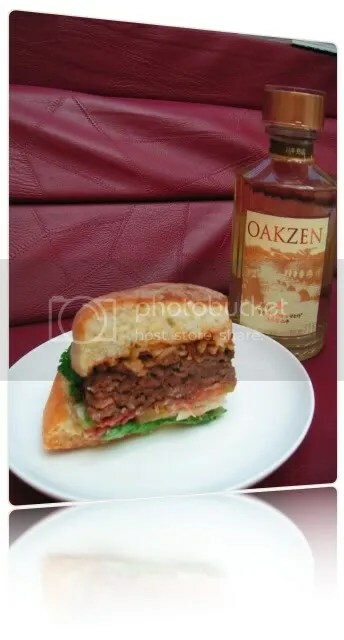 I personally love mixing it with soju (소조). To be quite honest, after two rounding days of trashing my voice last weekend, I’m looking forward to a lower key weekend. Today, I’ll go into the school again, but I’m also hoping for a miracle, because the first few hours of waking up absolutely kills my throat. But usually after a pot of coffee in the morning, it feels better. However, throughout the day, I need to pop some lemon drops to keep it well lubricated. I didn’t get a chance to hit the store last night, so I hope the Family Mart has some for me on the way to school. School has been great and I’m looking forward to finising the day. I have most of the first story done and will have it knocked out by Tuesday. I’ll also have the second story knocked out by the end of the week. So this means that a majority of my evenings and weekends for the next few weeks will be spent working on school related stuff. That being said, I do have a few fun things planned for me. 1) Tonight, after work, we’re all going out to see Batman. It opened here on Wednesday and we’re all pretty stoked about seeing it. It will be a nice way to round out the day. 2) I’m planning on returning to Hwaseong Fortress for a lot of tomorrow, to shoot some arrows and visit the palace. It should be a blast. I’m even going to take some of the teachers with me this time. The YouTube feature has been great. I’ve gotten some great responses from the Korean people and absolutely love their comments. It really makes me want to know more about this country and travel it extensively. The one thing that did surprise me yesterday was two messages posted on my blogsite. Hi, I’m <Name Deleted> working for Jinro. As you know, Jinro is the company making soju, Chamisul. Today, we saw the film (http://kr.youtube.com/watch?v=wqlV0FQV2X0) made by you about Soju(Chamisul). We are happy that our product is popular with foreigners like you. So we’re planning to send you some boxes of Chamisul as a token of gratitude. Please, give me your phone number & address that you can receive our soju. In addition, we hope receive the original file of your film as fast as you can send. Because we can only link that, we can’t download your film. We’re planning to use that film in the official event by showing it. We want to get it until this weekend. Is it possible for you? I’m waiting your contact. Thank you. That was pretty sweet! Totally unexpected and appreciated. I can’t wait to make a formal video thanking them. Have a great weekend and make sure you get out side and have some fun! Oh, and it appears that the flat chopsticks were developed to help with table etiquette. It seems that in Korean culture, being quiet and reserved during a meal is what is traditional. Picking up bowels and cups, etc. and making noise is frowned upon. Flat chopsticks reduce the likelihood that they will roll and make noise.